Welcome to the Small World of Naomi! Brian Michael Bendis has been making waves since his arrival at DC Comics. Sometimes they’ve been great waves with exciting stories, other times have been confusing and subpar. One of the more interesting waves is the new imprint, Wonder Comics. 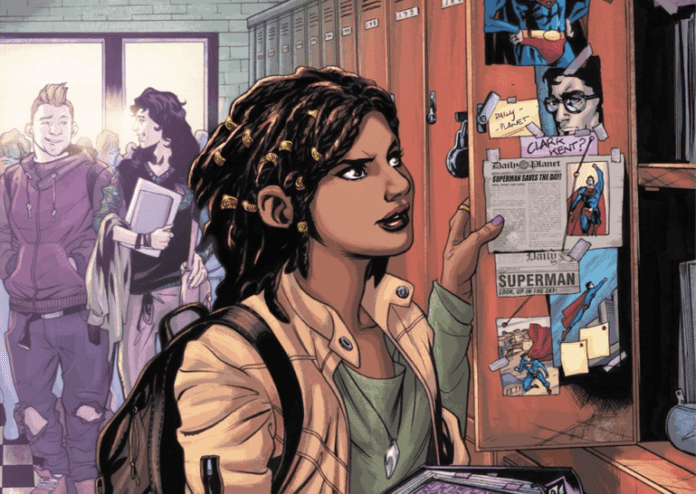 This imprint will be centered on teenage heroes and curated by Bendis himself. The first of this imprint, Young Justice, was a decent read. The next of the imprint is the story of Naomi. This is a new character that will go on an adventure that will affect the whole DC Universe. So just who is Naomi? After a small town in the northwest gets a visit from Superman, a young girl begins investigating. This is Naomi, and she is fascinated by Superman. She is curious about why he has come to their little town. She also begins investigating the other time anything strange happened. Everyone appears to be avoiding the topic, much to the young lady’s annoyance. The reason Naomi wishes to know is that she wants to learn if she is special. 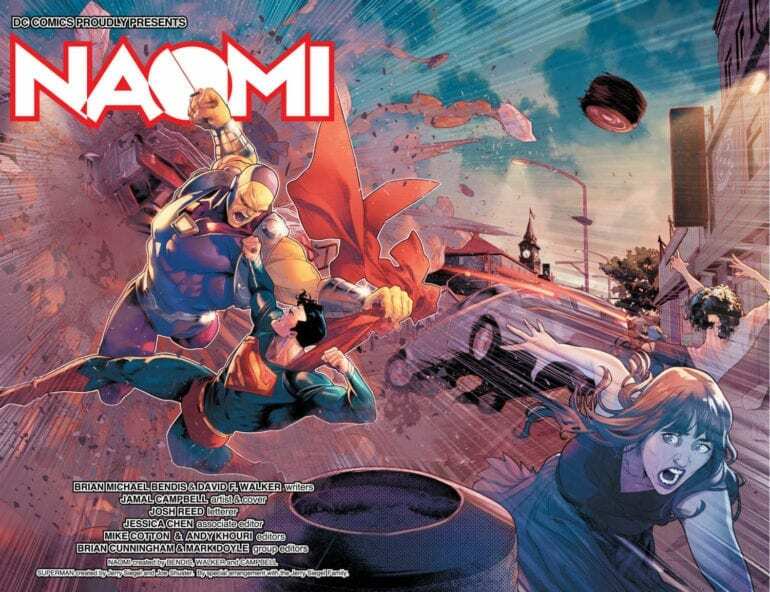 This issue is primarily used to give us an understanding of Naomi. As this is a new character, we spend a majority of the issue learning a ton about our heroine. It’s clear that this story will be a more character-driven series rather than an action-packed one. The only action we get this issue is the fight Superman gets into at the start. I prefer a balance of both action and character-driven narratives. Because of that lack of action, I was getting bored by the end. The cliffhanger saved it, but overall I just couldn’t get into it. Maybe this will change as we learn more of her origin, but right now, I’m just “meh” about this opener. The art is by far the best part of this book. Each panel is breathtaking in illustration and colorwork. 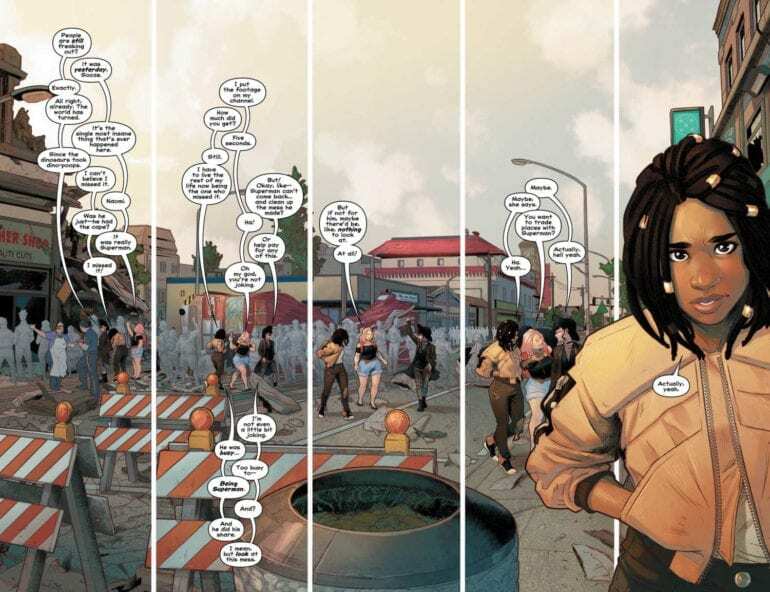 Jamal Campbell is the artist for the issue, and he gives it his all on every page. The character designs feel grounded in reality, especially in their facial expressions. There’s a scene in this where Naomi is on the verge of tears from the mystery weighing on her. Each panel shows a little bit more of the sad frustration until she starts to cry. It’s full of emotion, incredibly realistic, and I loved it. 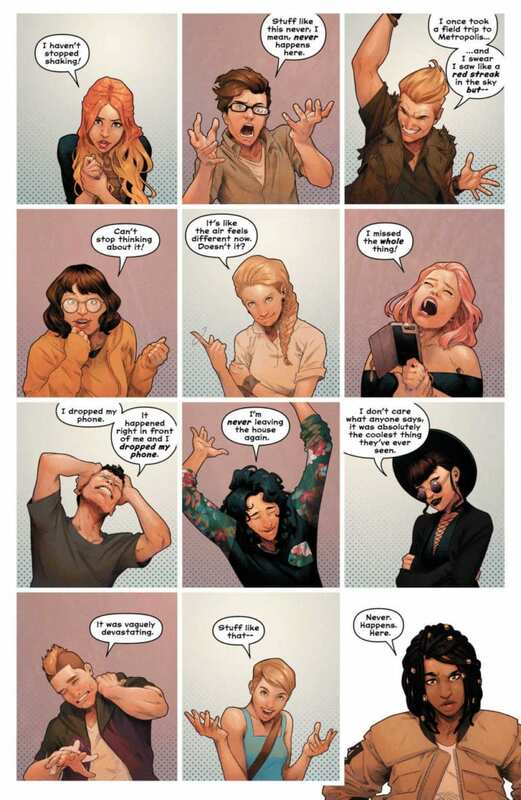 I hope the artist isn’t going anywhere, because I already can’t imagine this comic without his skill. I like certain aspects to this story. 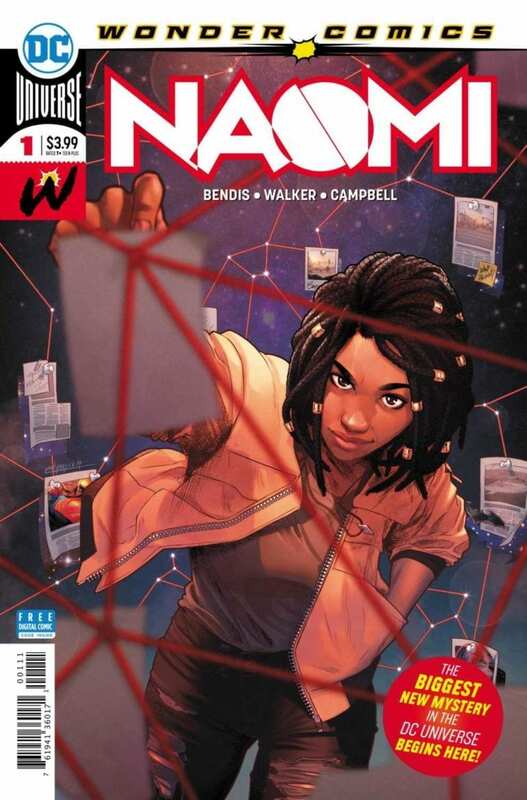 Naomi is an interesting character, and I want to see where her story goes. The art is also incredible, being full of excellent colorwork and skillful illustrations. This issue might have been average thanks to a lack of real excitement, but I actually can’t wait for the second issue.